BrainDeadHorse, please read the opening post, this issue is already addressed there. darkcheeze44, I'm not sure what to suggest at the moment... try deleting the cache folder. Re: SouthernOracle. NVIDIA Quadro cards and "lag spikes" please see the pinned post about disabling Thread Optimisation in the NVIDIA Control Panel. For me SE0972 would freeze for 15-20 seconds when flying around non-procedural planets until Thread Optimazation was turned off. Also tried a low-end Quadro 600, Win7/32 which seems stable. Just terrible frame rate, to be expected. At the moment Space Engine 0.9.7.2 is running stable. 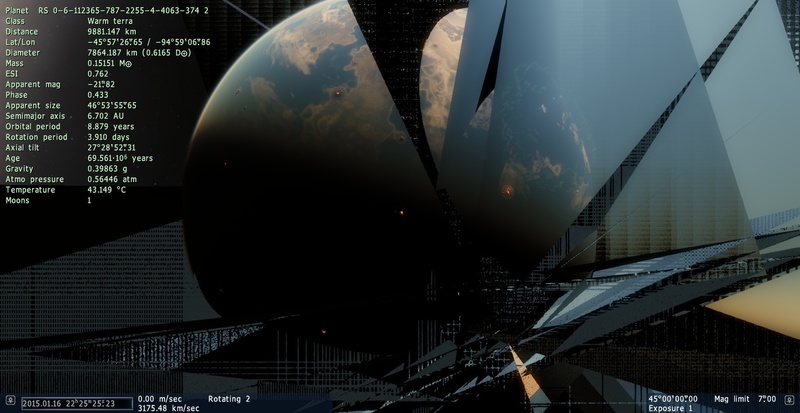 Nebulae are also rendering which were glitchy in 0.9.7.1. Very pleased! Just saying, I wen to the center of the milky way, I wanted to see the new black holes, and the game just crashed. Any ideas? Is this a common bug? Merged your thread with troubleshooting. There is a solution that should work in the opening post. I still have no answers on why the screen is fully white. I tried to disable threaded optimisation and it doesn't work. 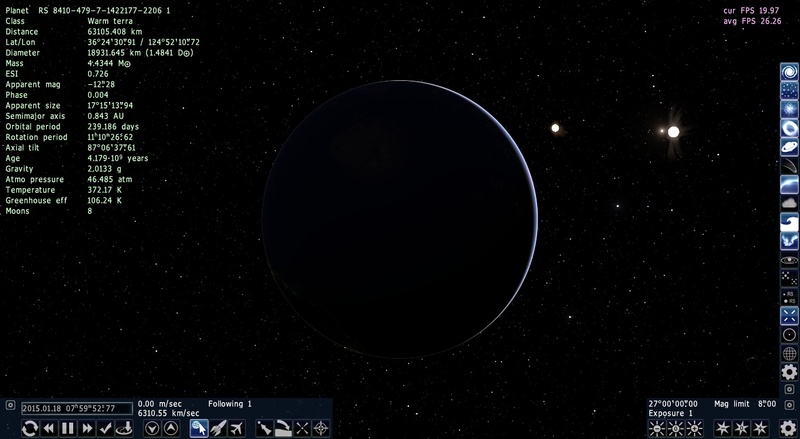 You probably turned off glow textures by accident, press N.
Behold, the new largest planets in SpaceEngine! isdebesl, I already addressed your previous post. Please don't make new posts before even checking to see if your original post was replied to. 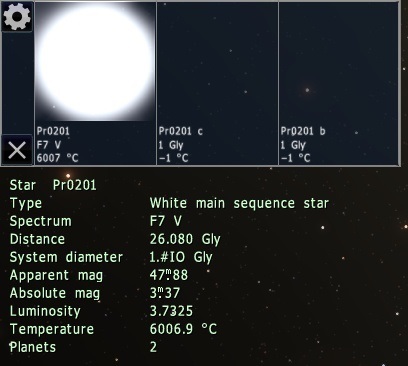 I have encountered a situation with 0.972 where, when I'm at a planet, I will exit SE 0.972, and when I start SE back up again, the parent sun, (or suns in a CB system), will be missing the diffraction spikes and the lens flare textures. 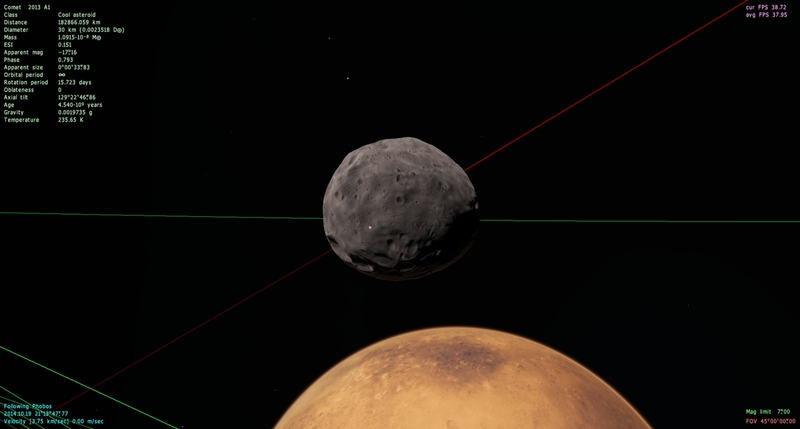 Switching to different Diffraction spike and lens flare textures will work fine; but when I exit SE with those selected, the stars will be missing THOSE diffraction spike and lens flare textures, and selecting the Diffraction spike and lens flare I used originally, will load back up again just fine, but Exiting SE yet again, just perpetuates this vicious cycle/endless loop.